All BG Racing horses are operated on the same basis. Each syndicate is operated on an annual basis with renewal on the anniversary of commencement. Whether the horse is sold or retained at the end of the year, participants will be able to leave at renewal if they wish. Typical annual fees will be £200 – £500 per annum per 1% share depending upon the purchase price of the horse. Share prices for each horse can be seen on the Horse Info pages. Horses are run under BG Racing ownership and colours. 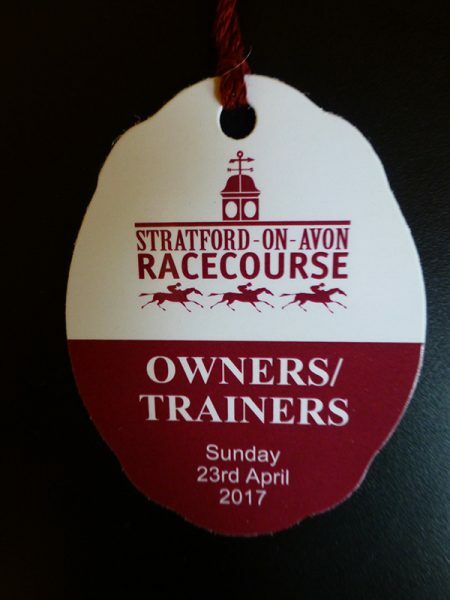 Individuals can buy from 1% upwards and members will receive free or discounted owners badges for every race that the horse runs in. Free badges (as many as I can get) will be allocated by random draw with each 1% owned entitling the member to one spot in the draw. If you do not get a free badge or as many free badges as you have requested – then where owners badges are available for purchase, I will get these as cheaply as I can and sell them to members at cost price. All prizemoney (after trainer, jockey and stable deductions and VAT deduction) is divided up annually by shareholding and the sale price of the horse (after sales fees) is divided up by shareholding if / when the horse is sold. I aim for this to be a fun and “hands on” experience. Whilst they are not an entitlement of membership, I do arrange to take members to the stables to see their horse and the rest of the trainer’s horses in the yard. I update progress via direct email and I am always available at any time to talk about the horses or provide an update. If you are interested in joining, please contact me using the contact details on the website, as I will be happy to discuss this with you. Full syndicate terms and conditions can be downloaded here.